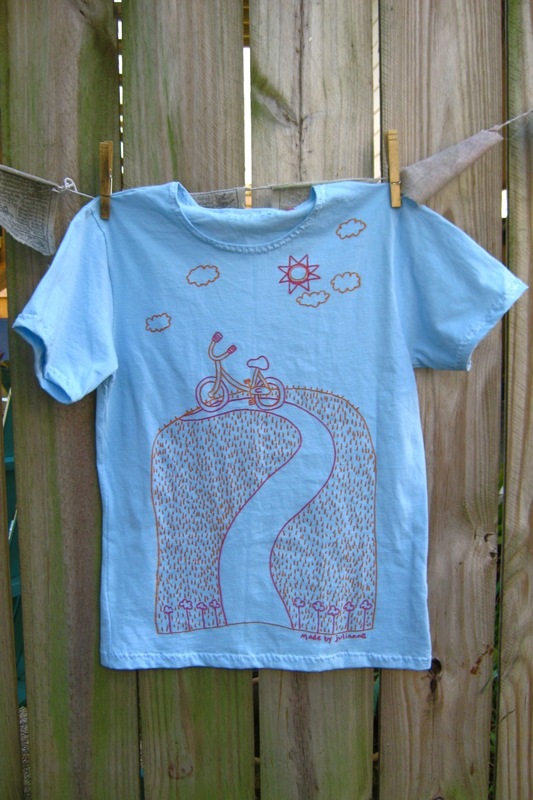 This shirt is very similar to the large batch of bicycle shirts I made in March, but I used a different version of the bicycle drawing, which is highlighted by the two ink colors. Also, the jersey is thicker and more aqua than the previous shirts. As always, I made the pattern myself. 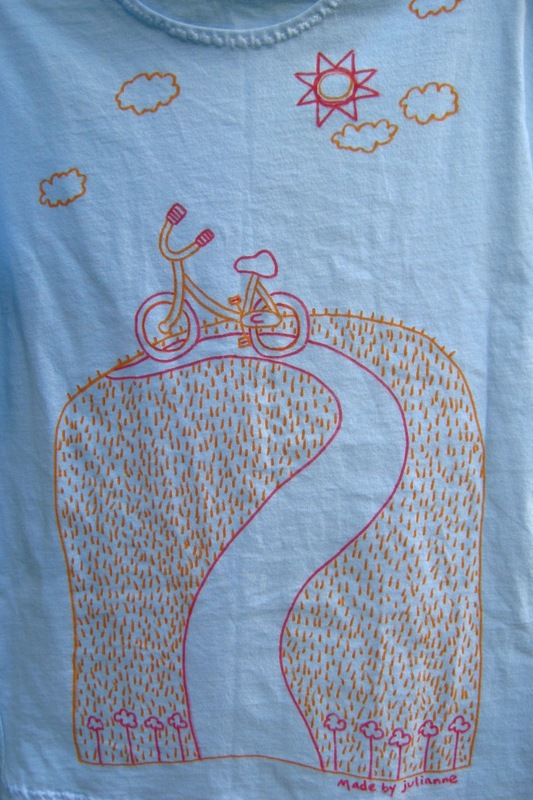 The image was drawn on by hand with fabric markers, then heat set. I like the degree of individuality this gives my shirts; even when I’m doing the same design five times each one turns out different. This shirt was snapped up by a friend for his girlfriend’s birthday, which happens to be the same day as mine.